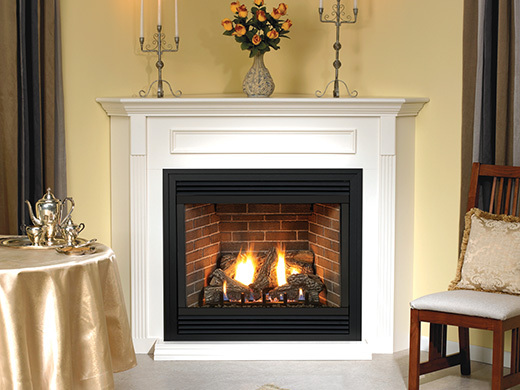 White Mountain Hearth offers cabinet mantels – which enclose the fireplace – and Profile mantels and mantelshelves – which finish out the front of fireplace built into the wall. We build our cabinet and corner mantels from 3/4-inch fine-furniture grade cabinetry components, including MDF wrapped in select hardwood veneers. 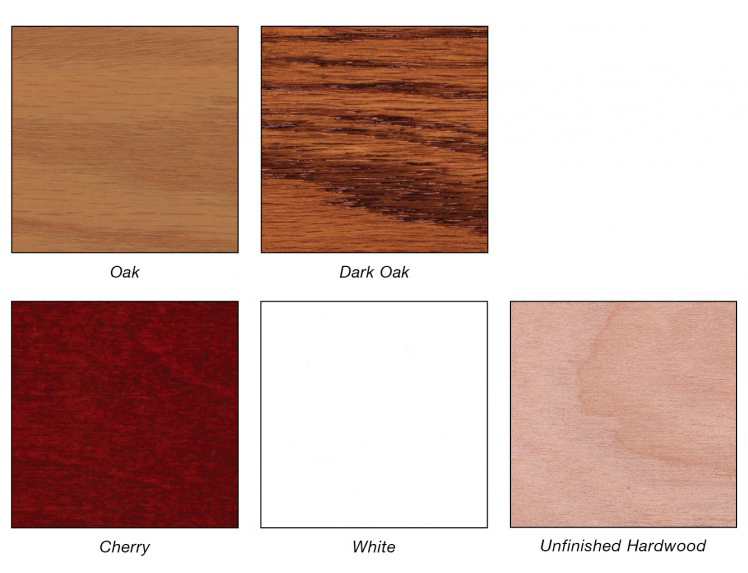 Because this natural wood can vary in appearance, we grain-matched the components for each mantel, to ensure you get a great looking mantel. 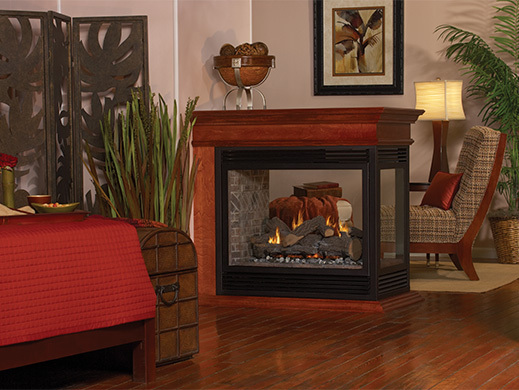 Cabinet and corner mantels are available in Oak, Dark Oak, Cherry, White, and Unfinished Hardwood. 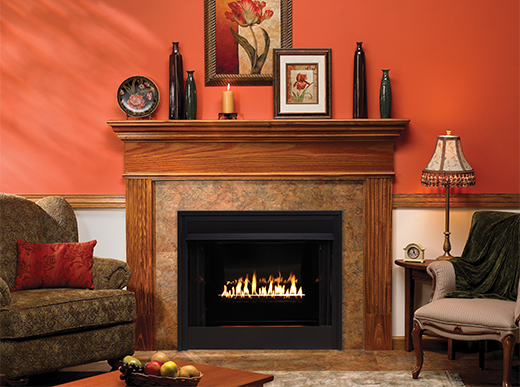 Our Profile mantels and mantelshelves are made from ½-inch furniture-grade plywood trimmed in real hardwood. Choose unfinished or primed. 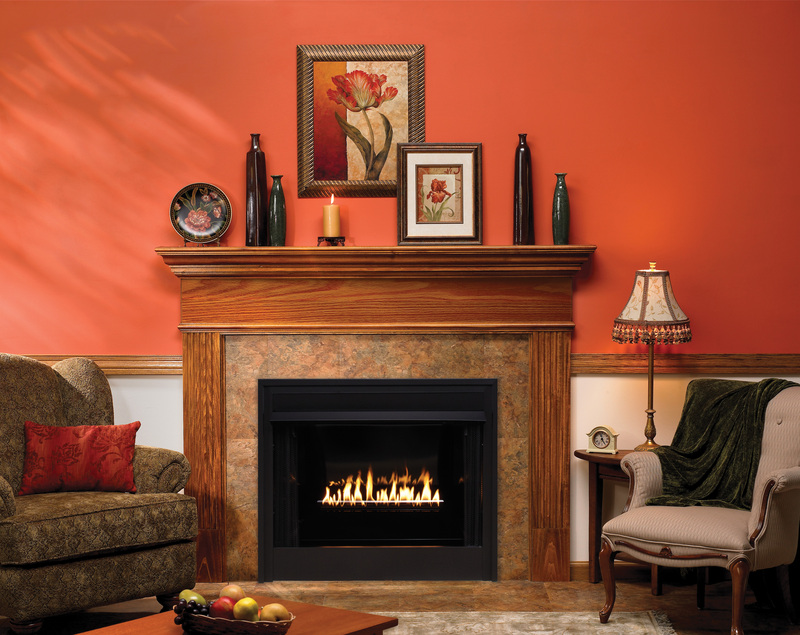 White Mountain Hearth mantels are hand-sprayed and then hand-rubbed with specially formulated finishes that are more durable and more uniform than brush-on finishes. 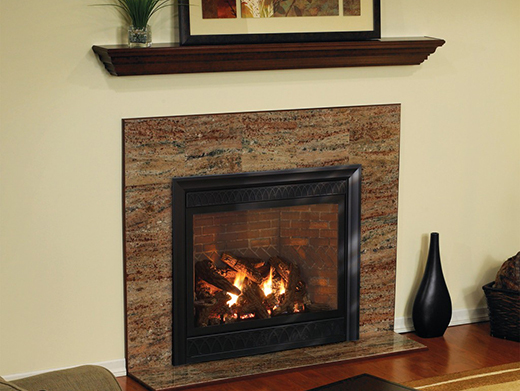 All the components for your mantel are finished at the same time, by the same craftsman, using the same batch of finish. 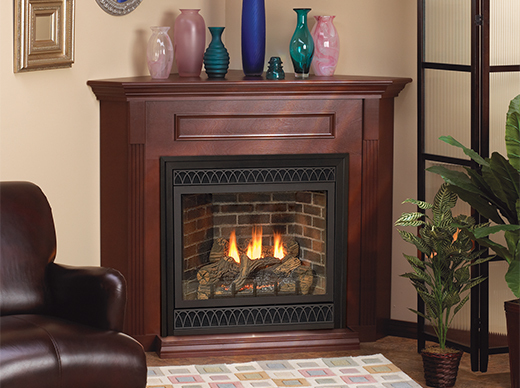 Available in 32-inch and 42-inch with built-in base. All Profile Mantelshelves ship unfinished or primed.